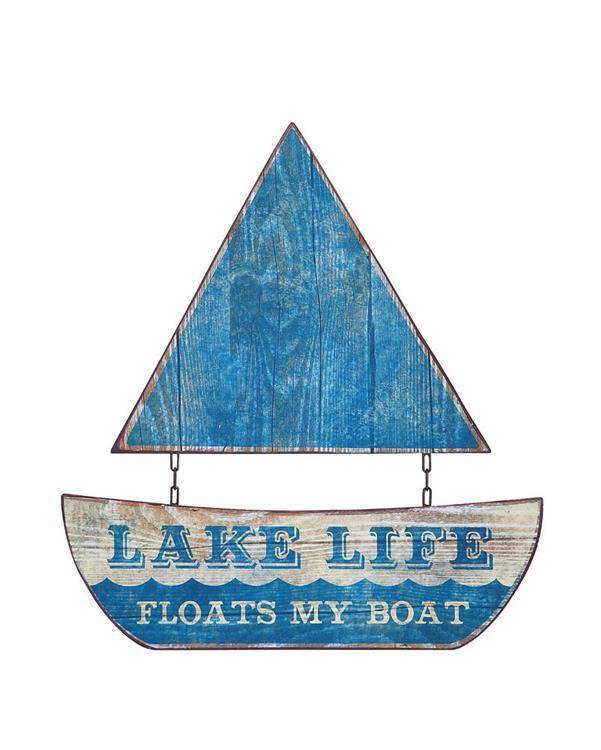 Hanging this sea blue rustic metal sailboat sign on your lake house wall will float your boat! Its scale makes it perfect for a small spot in the cabin or cottage. Measures 15-1/4"W x 16-1/2"H.